Google Play gives you tons of options on publishing your apps and connecting with users. But as you get started with new features like beta testing and staged rollouts, it’s a good idea to do a checkup and make sure you’ve covered the basics. If you take just one step today to protect your Google Play apps, enable two-step authentication for your Google account, and encourage the rest of your team to do the same. Next, many developers first set up their Google Play account with their personal gmail account, but it’s actually a good idea to transfer your apps to a separate account. All of your installations and reviews remain intact. If you haven’t done this already, transfer your apps to a new account today. Don’t share passwords. Instead, add each individual who needs access and only grant the minimum level of access they need — and encourage them to enable two-step authentication. Review the list of people with access regularly, and when people leave your project, make it a standard practice to remove their access. Learn more about developer account security. In order to publish an update to an existing app, you’ll need to sign it with the same keystore every time. If you lose your keystore, you’ll lose your history and reviews, so you’ll need to start over with new apps with new package name and a new key, so you’ll want to make sure you protect it. First, choose a secure password, and don’t use the same password that you use for your Google account. Next, back up your keystore somewhere, but don’t upload it to Google Drive with an account you use to publish on Google Play. Account owner email address: Google uses the address used to register your Developer Console to contact you about your apps and account, so it is extremely important that someone is responsible for checking it regularly. If necessary, you can forward messages from this account via Gmail, or transfer your apps to another account. Customer support email address: For each individual application, you can specify the best way for users to contact you for customer support. Ensure that a valid support email address for your product is specified. As a best practice, this should probably be a designated support account that is checked regularly and not the same email as the address used to login to the Developer Console. We recently launched some new guides and examples for Google Play’s Developer Program Policies and Developer Distribution Agreement. Note that once you publish an app as free, you can’t change it to a paid app later, though you can add in-app products. You may have many people involved with your Google Play apps. Make sure roles are clear in terms of whose job it is to publish updates, check statistics and optimization tips, read and reply to user reviews, and track revenue. Make sure all of these people have the right access to the Developer Console. Many developers who are part of larger organizations also report to their larger teams about their apps’ performance. Designate someone to make sure your app description, graphics (including localized and tablet screenshots), and pricing are up to date. To change the language you want to see the Developer Console in, set your primary language. If you speak additional languages, configure those, too — user reviews in those languages won’t be translated automatically in the Developer Console. That was a popular request from developers. Optimize your Google Play image assets. Include a well designed feature graphic in your Google Play listing. Localize your feature graphic, screenshots and description to improve conversions globally. Create a great looking icon with the Launcher Icon Generator. Provide screenshots specifically for phones and tablets showing both portrait and landscape layouts. Improve your app’s marketing. Users are 47% more likely to trust & download content when you use the official Google Play Badge. Also, make sure you are linking to your apps properly. Use the Device Art Generator to create beautiful marketing material. 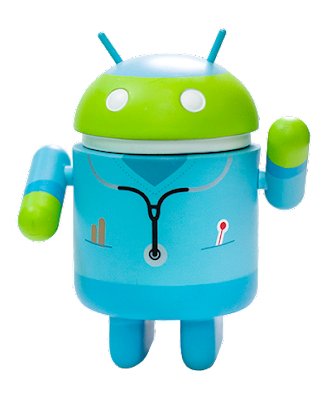 To make sure you’re aware of the latest Google Play updates for developers, make sure you check the Android Developers blog regularly, follow +Android Developers, and check the Developer Console regularly for announcements.